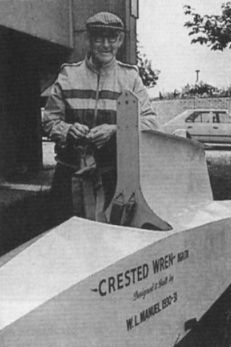 A ONE MAN EFFORT: The "Crested Wren" designed and built by Corporal Manual of Hawkinge. It is a beautiful piece of work. GOING AFTER THE BRITISH RECORD: On July 29 Fit. 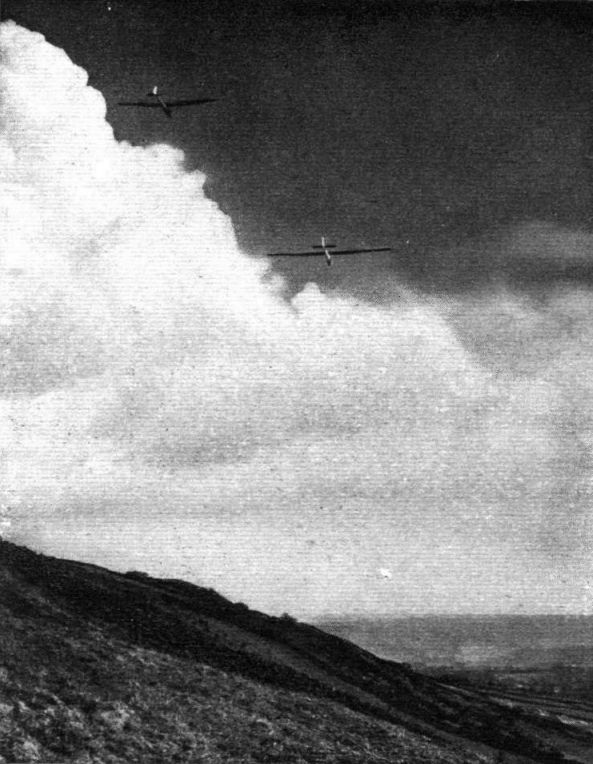 Lt. E. L. Mole, R.A.F., remained aloft for 6 hr. 55 min. 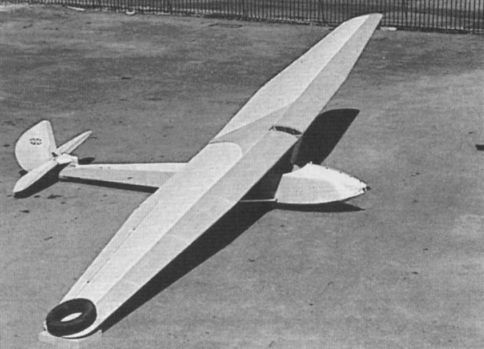 on the Willow Wren glider designed and built by Mr. Manuel, late Corporal, R.A.F. The flight took place in the region of Totternhoe, Dunstable. ON SILENT WINGS: A striking picture of the "Golden Wren" sailplane and a Rhon "Buzzard" soaring over Bradwell Edge, Derbyshire, which is proving an increasingly popular centre with Midland and Northern gliding enthusiasts. Bill himself during its construction.